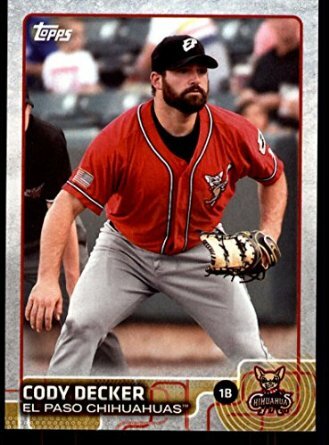 Drafted by San Diego out of UCLA in 2009, Decker quickly became one of the most popular players in the Padres’ farm system. He became a “Twitter celebrity” known for his practical jokes on other players and for his YouTube videos. After hitting 154 home runs in 783 minor-league games, the Pacific Coast League All-Star and Team Israel member finally reached the major leagues as a September call-up in 2015. He became a free agent after the season and signed a minor-league contract with the Kansas City Royals’ organization. Then in April, he was traded to the Colorado Rockies and assigned to their Triple A team.